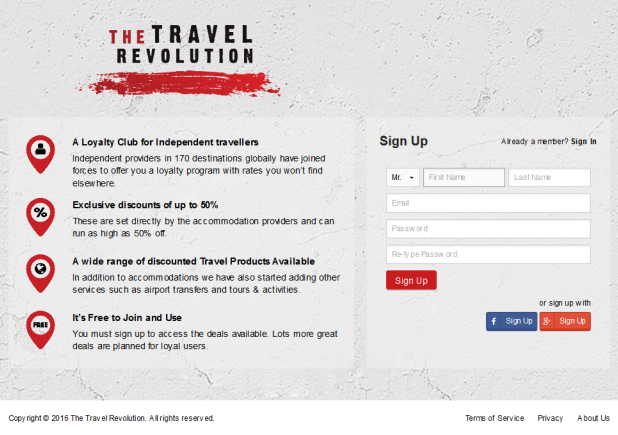 Launched in Beta mode in January 2016, The Travel Revolution is a unique loyalty platform with deals set by independent travel providers (accommodations, tour and airport transfer operators) for members. Large chain hotels have been offering specials deals for loyal customers for years … now independent accommodations can do the same. Check it out.